Henry Parker 1858 – 1930 started life as an illustrator for the illustrated London News. He Painted Thames scenes and Views in Kent and Wales. 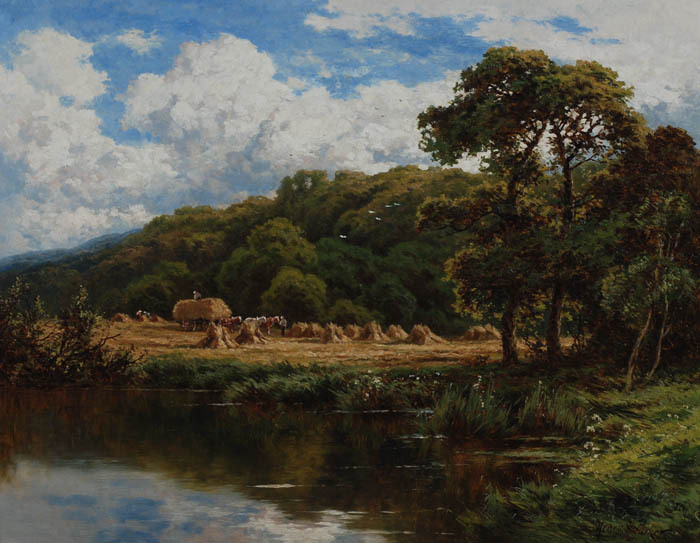 At the age of 25 he started painting Landscapes. His work has been exhibited in London and New Zealand Galleries and in 1923 he held his first exhibition in Chicago. Works can still be seen at many locations round the world.